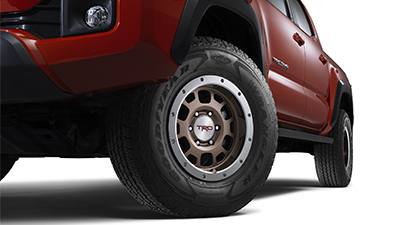 The wheels on your FJ Cruiser are the unsung heroes of your vehicle, but drivers often don’t put much thought into their wheels, unless they're damaged. Even though the wheels are sturdy, they can become damaged by accidents, large potholes, and being curbed too hard. If these kinds of damages occur, the wheels need to be replaced right away. The only way to restore factory function and look is by replacing them with OEM FJ Cruiser wheels. 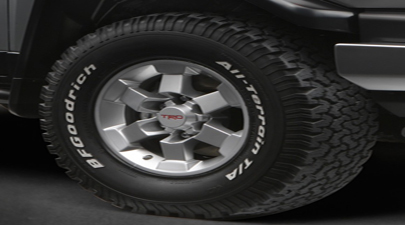 OEM FJ Cruiser wheels are made to the exact specifications as the factory wheels. They'll fit the vehicle and won't look different from the other wheels. If you buy cheap aftermarket wheels, they often don’t match, with one wheel looking noticeably different from the rest. Don’t settle for cheap knock-off OEM wheels. Olathe Toyota Parts has a massive selection of low priced OEM wheels for your FJ Cruiser. Get your OEM Toyota FJ Cruiser wheels and parts here now.